Remembering Mama.. | Tell Me… Am I From This World? Today should have been Mama’s 65th birthday if she was still alive..
A strict but a loving mom who never failed to give us words of wisdom based on her past experiences.. I could still remember how she spanked me whenever I did something wrong then would asked me later why she did that to me.. My mom who always told us that we could get whatever we want once we started working and just enjoy the simple things we had then..
She never ever went to my school during meetings but will definitely rush there if she knew someone bullied us.. She also never went up the stage to accompany me on my recognition days.. She hated being the center of attention and being in the crowd, that was what she said.. But once we got home, we were welcomed by sumptuous dishes she tirelessly prepared..
She was a woman of faith.. Though she seldom attended Mass, she never failed to teach us about our faith and encouraged us to get involve to Church activities.. Being very strict and all, but when it came to our Catholic faith, she would said yes.. I came to love my faith because of her..
My mom was never a showy person.. She always tried to show a brave face even on her last moments.. She was a very strong woman.. She tried to fight her sickness but knew when she had to give up herself to God.. I miss my Mama so much and I still cry whenever I remember her.. Maybe even if we already accepted the fact that she can no longer be with us, the pain of longing is still there and will remain forever.. But that feeling, I would never exchange for anything, as it makes me a better person because I know Mama is there watching my back.. I Love You, Mama.. 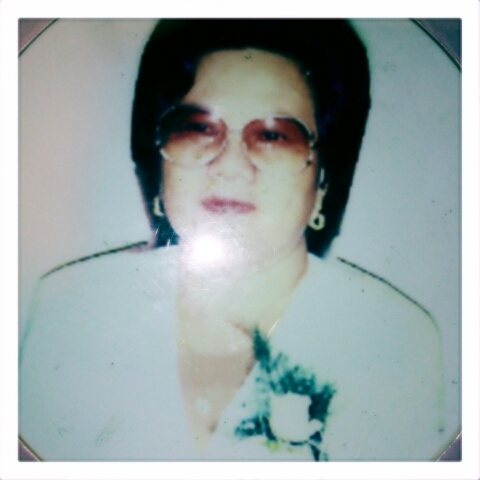 Happy Birthday..
We Love You Mama.. We Miss You.. Previous PostTacloban City — Foodie HavenNext PostAgain..